From the #MeToo movement to outrage over the Kavanaugh confirmation hearings, women have seized the political and cultural moment. The films in this year’s GlobeDocs Film Festival (Oct. 9-14) reflect this phenomenon. 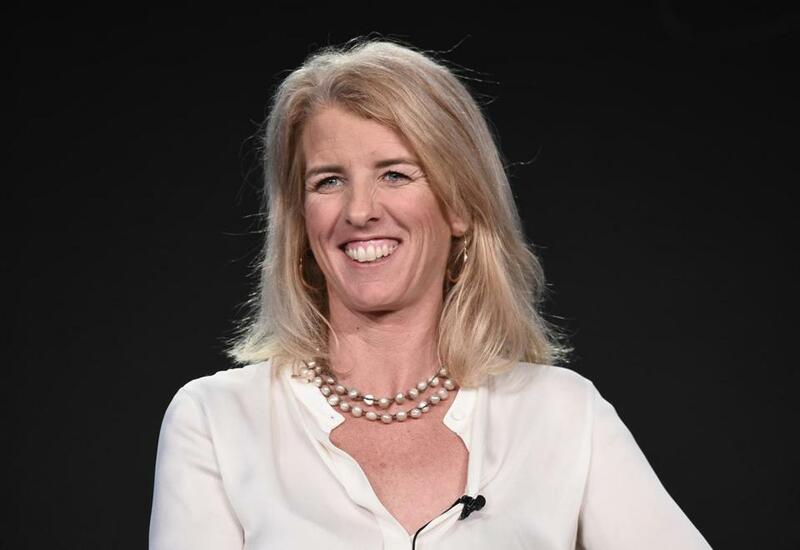 Among the women featured is Rory Kennedy, who will present breathtaking clips from her new documentary, “Above and Beyond: NASA’s Journey to Tomorrow,” and engage in a discussion about the past and future of the space program. Other films take on subjects closer to home. In Robin Hauser’s “bias” the filmmaker takes a test and is shocked to discover that she harbors unconscious bias — against women. Her film shows how recognizing the phenomenon is the first step in correcting it. 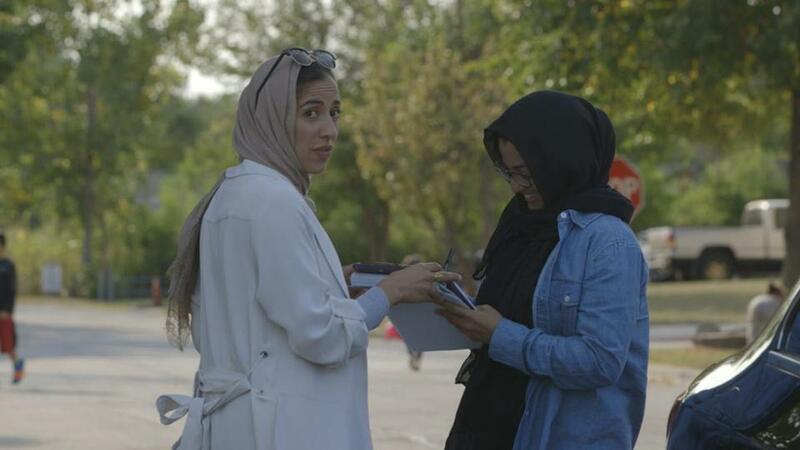 In the opening-night film “The Feeling of Being Watched,” Assia Boundaoui is angered when she learns that government surveillance of Muslim citizens in her own neighborhood has been going on for decades. And government injustice against a family member inspires Rudy Valdez’s “The Sentence,” in which the filmmaker records the years he works on appeals to get his harshly sentenced sister pardoned. Ordinary people change the system, as in Juliane Dressner’s “Personal Statement,” which follows three Brooklyn high school seniors as they help their classmates apply to colleges. In Laura Green and Anna Moot-Levin’s “The Providers,” three health care professionals bring comfort to the poor and forgotten in a New Mexico rural community. 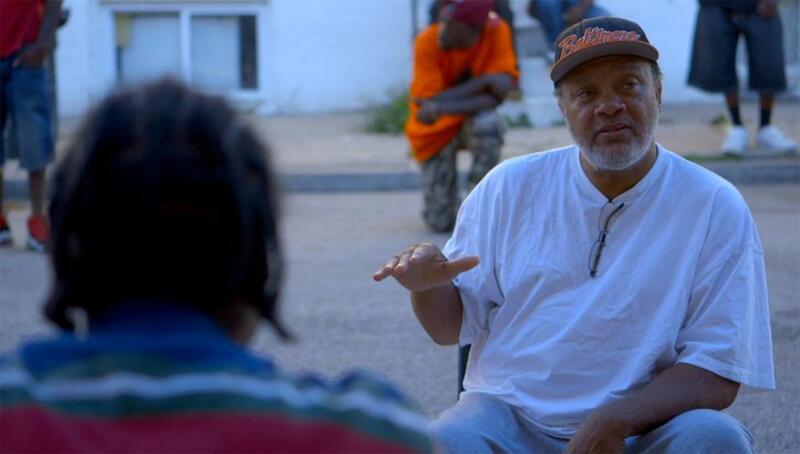 Marilyn Ness’s “Charm City shows grass-roots efforts in Baltimore combating crime and racism. And in Norah Shapiro’s “Time for Ilhan,” a Somali-American woman beats the odds and wins an election. In other parts of the world there is less cause for optimism. Karen Edwards and Gemma Atwal’s “Stolen Daughters: Kidnapped by Boko Haram” looks at the horrors endured by Nigerian schoolgirls abducted by terrorists. Cynthia Wade and Sasha Friedlander investigate an environmental disaster in Indonesia and how a mother and daughter victimized by it seek restitution. And in the disputed waters between the United States and Canada, the fishermen in David Abel’s “Lobster War,” a GlobeDocs-branded presentation, seek help from an unforthcoming bureaucracy. Art as well as activism offer a way to rise above life’s injustices and misfortunes. That is the case with the male ballet dancers in Scott Gormley’s “Danseur” and with playwright Terrence McNally in “Every Act of Life.” And though art cannot defeat death, the young man dying in Cameron Mullenneaux’s “Exit Music” transcends it with his brilliant creations. “Above and Beyond” director Rory Kennedy will show clips of her documentary and take part in a discussion. JFK Presidential Library and Museum, 6 p.m. The podcast about the investigation into the unsolved 1990 Isabella Gardner Museum heist and new developments in the case are discussed by WBUR’s Kelly Horan and Jack Rodolico and the Globe’s Stephen Kurkjian, with WBUR senior producer Ben Brock Johnson moderating. Sometimes you’re not being paranoid when you keep seeing the same strange car passing by your house. Decades before the country intensified its counterterrorist operations after 9/11, government agents spied on citizens of a close-knit, middle-class Arab-American neighborhood outside of Chicago in a program aptly called Operation Vulgar Betrayal. Among the families under surveillance was that of filmmaker Assia Boundaoui. She investigated the operation, speaking to her justifiably anxious neighbors and taking the government to court to uncover tens of thousands of pages of FBI documents about its activities. Coolidge Corner Theatre, 7 p.m. Followed by a discussion with Boundaoui moderated by Globe film critic Ty Burr. Karoline has faced down homophobia and conveys her confidence to those she is advising. Christine is politically active and encourages applicants to involve themselves in fighting for social justice. Enoch shares his own personal history of struggles to motivate others to overcome obstacles in achieving their goals. Dressner follows the trio through senior year and beyond as they must deal with their own problems at home, academically, and financially as they try to gain admission to the schools of their choice. Overshadowing all is the fate of the program they are working with, which is in danger of being defunded. Coolidge Corner Theatre, 5 p.m. Dressner, executive producer Chris Hastings, and subjects Karoline Jimenez and Enoch Jemmott will participate in a discussion moderated by this reporter. Co-presented with WGBH-World Channel. 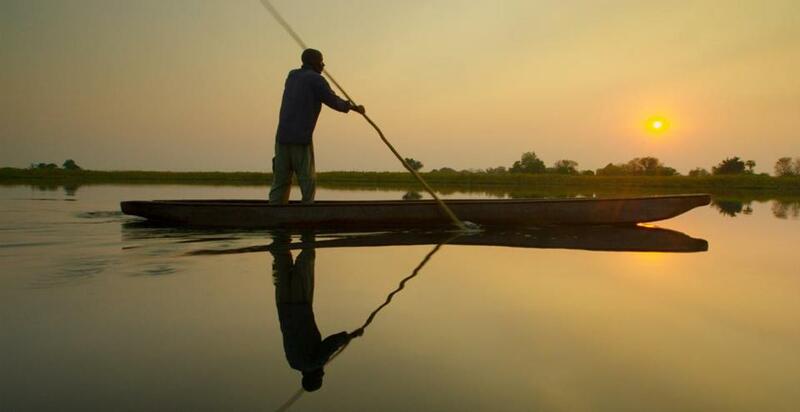 “Into The Okavango” is a documentary by Neil Gelinas. The Okavango River Basin in southern Africa is so vast it can be seen from space. It provides water for a million people and a home for the world’s largest population of elephants. But its future is in doubt: It’s shrinking, and no one knows why. To solve the mystery, a team of scientists undertook what would turn out to be a four-month, 1,500-mile trek across three countries to explore the river system that feeds the vast wetland. Neil Gelinas’s documentary records this onerous and stunningly beautiful latter-day Lewis and Clark expedition. Coolidge Corner Theatre, 7:30 p.m. Gelinas will participate in a discussion moderated by this reporter. Co-presented with Independent Film Festival Boston. Health care is a problem for most Americans, but none more so than those in isolated rural communities. Laura Green and Anna Moot-Levin’s documentary visits one such forgotten place, in northern New Mexico, focusing on three health care providers who dedicate themselves to helping those too poor to pay. Matt Probst, Chris Ruge, and Leslie Hayes bring hope, healing, and comfort to opioid users and elderly patients, and the film follows their triumphs and frustrations. Brattle Theatre, 5 p.m. Moot-Levin and Ruge will participate in a discussion moderated by this reporter. A co-presentation with WGBH-World Channel. Ethan Rice, like many artists, confronts mortality with his creations. The subject of Cameron Mullenneaux’s documentary, he makes music that is strange and seductive and stop-action animations that fill the frame with macabre inventiveness. Rice is all too aware that his time is running out. He is 28 and dying of cystic fibrosis. Darkly comic and unbearably tragic, Mullenneaux’s film records Rice’s final months, days, and hours. He is attended to by his father, a Vietnam War veteran with PTSD, and his mother, a calm and steadying presence. Brattle Theatre, 7:30 p.m. Mullenneaux will participate in a discussion moderated by Ty Burr. Male ballet dancers perform with an effortless grace that belies the hard work and sacrifice their art entails. Director Scott Gormley talks about this in his documentary with several dancers, some established like the Boston Ballet’s John Lam, Derek Dunn, and Peter Stark and others just starting out. They recall the hours of bruising practice, the constant self-doubt, and nagging insecurity. They also recall the bullying that they — like 96 percent of male dancers — have had to endure. Why go through this for a career that pays badly and is usually over by 40? All say that the ecstasy of performing on stage and forging one’s body into the instrument of art is well worth the pain it takes to get there. Brattle Theatre, 11 a.m. Stark, head of the Boston Ballet School men’s program, and Boston Ballet soloist Patric Palkens will participate in a discussion moderated by Globe correspondent Loren King. In 2014 the world rallied for the 276 Nigerian schoolgirls abducted from a school in northern Nigeria by the terrorist group Boko Haram. Negotiations finally secured the release of 82 captives. Documentarians Karen Edwards and Gemma Atwal gained access to the freed girls but were not allowed to speak to them about their experience during captivity. However, they secretly obtained the diary of one of the girls and also recorded the horrific testimony of others who suffered a similar fate. The film’s lucid detachment underscores the pathos and cruelty. It also reveals the resilience and humanity of those who have undergone unimaginable suffering, such as an 18-year-old who, despite her own trauma and desperate circumstances, has become a foster mother to two former child soldiers. Brattle Theatre, 1 p.m. Edwards will participate in a discussion moderated by Loren King. One of the first indications of bias, notes director Robin Hauser in her first-person documentary, is a claim of not being biased at all. Another way to find out is with a computer program, the Harvard-based Implicit Association Test, which Hauser takes and learns that she, too, harbors prejudices. Everyone does. Unconscious bias, it is explained, is an atavistic leftover from our prehistoric past when judging others on their differences could be a matter of survival. Hauser’s film helps identify this tendency and combat it. Brattle Theatre, 3 p.m. Project Director of Outsmarting Human Minds Olivia Kang and Implicit Bias researcher Tessa Charlesworth will participate in a discussion moderated by Beth Teitell, Boston Globe feature writer. In East Java, in 2006, drillers hit a reservoir of hot mud while searching for natural gas. It burst through the surface, surged like a tsunami, and swept away roads, factories, and homes. The deluge killed 20 people and displaced 40,000. It still gushes, an apocalyptic fountain of muck erupting in a gray wasteland. As seen in Cynthia Wade and Sasha Friedlander’s documentary, those who lost their property still wait for restitution. The corporation responsible refuses to comply and the government has taken no action. This injustice has turned victims into activists. A mother and daughter lead demonstrations and organize voters for an upcoming election. A local artist has cast the mud into an army of statues, rebuking those responsible. Wade and Friedlander show how ordinary people can fight an unjust system, and how greedy, powerful men can devastate the environment with impunity. Brattle Theatre, 5:30 p.m. Wade will participate in a discussion with Loren King. Co-presented with the LEF Foundation. After five decades, dozens of plays, and four Tony Awards, Terrence McNally has earned his place among the great American playwrights. Jeff Kaufman’s documentary covers a life as dramatic as many of McNally’s works, from his youth spent in homophobic Corpus Christi, Texas, in the 1950s, to his late-life renaissance of creativity after a life-threatening illness. Along the way he was Edward Albee’s lover in the 1960s, had ups and downs on Broadway until his first big hits, “The Ritz” (1975) and “Frankie and Johnny in the Claire de Lune” (1982), and, after losing loved ones to AIDS, became an activist for LGBT rights. Those interviewed include Angela Lansbury, F. Murray Abraham, Larry Kramer, Nathan Lane, Edie Falco, Chita Rivera, and Stanley Tucci. Not to mention McNally himself and clips from some of his greatest works. Brattle Theatre, 8 p.m. Kaufman and co-producer Marcia Ross will participate in a discussion with Loren King. Like the features, the films here include mostly female filmmakers and films about women. Jessica Congdon’s “Empire on Main Street” profiles Crista Luedtke, who left the pressures of the corporate world in San Francisco for a quiet vacation town only to have her entrepreneurial impulses energized, threatening her marriage and peace of mind. Shane Hofeldt and Marnie Crawford Samuelson’s “Keeper” is a paean to the Woods Hole drawbridge and the people who cherish it. Elizabeth Beecherl and Carla Patullo’s “Lotte That Silhouette Girl” pays homage to Lotte Reiniger, whose “The Adventures of Prince Achmed” (1926) was cinema’s first animated feature. Sarah Ginsburg’s “Spacesavers” celebrates that hallowed Boston winter custom of putting out chairs to preserve newly shoveled parking spaces. Amina Chaudary’s “Tariq’s Cube” tells the story of a skilled young Rubik’s Cube competitor while exposing the toll of racial and religious prejudice. Brattle Theatre, 11:30 a.m. The co-directors of “Keeper” and “Lotte That Silhouette Girl,” and the director of “Tariq’s Cube” and subjects Tariq Ali and Mohamad Ali will participate in a discussion moderated by this reporter. Three years ago, Freddy Gray died while in the custody of police, in a Baltimore already scarred by crime and racial tension. In her documentary Marilyn Ness finds systemic problems, but also encounters people committed to change. They include neighborhood activists, cops on the street, the city’s first female African-American police officer promoted to major, and a city councilor. Brattle Theatre, 2 p.m. Director Marilyn Ness will participate in a discussion moderated by Jeneé Osterheldt, Boston Globe culture writer. Those dismayed by the 2016 elections can take heart in Norah Shapiro’s spirited and suspenseful account of Democrat Ilhan Omar’s campaign for Minnesota state representative. Her surprise victory over a veteran incumbent made her the first Somali-American legislator elected to office in the United States. Young, charismatic, and determined, Omar has since been recognized by the national media as a rising star in the Democratic Party. She’s a candidate on the Nov. 6 ballot for the US Congress. Coolidge Corner Theatre, 4:30 p.m. The director will participate in a discussion with Janice Page, Boston Globe deputy managing editor. Co-presented with the Boston Women’s Film Festival. The case of Cindy Valdez epitomizes the flaws in our justice system. She was convicted of conspiracy in her deceased boyfriend’s crimes and sentenced to 15 years’ imprisonment, despite her minimal involvement. Rudy Valdez’s documentary records his sister languishing behind bars awaiting a pardon while her children grow up without her. Maintaining the tricky balance between participant and observer, he records the family’s ordeal while trying to get her free. Brattle Theatre, 5 p.m. The director will participate in a discussion moderated by Jenna Russell, Boston Globe reporter. Co-presented with the Provincetown International Film Festival. “Lobster War” is a film by Globe reporter David Abel. Canada and the United States have been disputing ownership of the so-called Gray Zone in the Gulf of Maine for over 200 years, and as seen in Globe reporter David Abel’s documentary the conflict has recently grown heated. 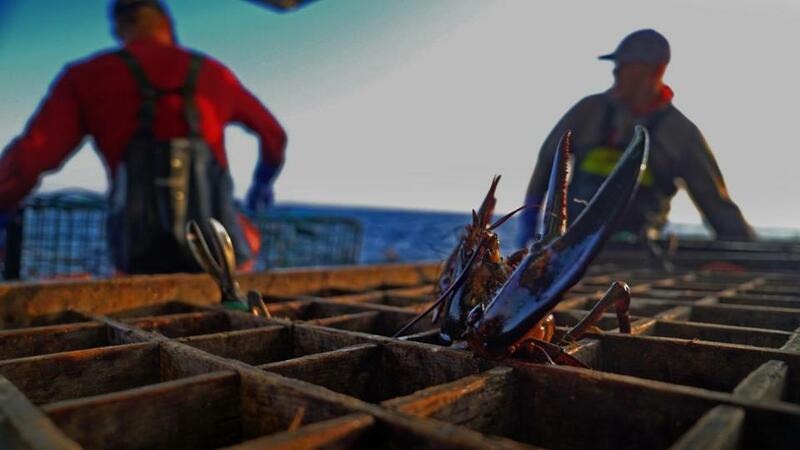 Climate change has increased the lobster population and attracted lobstermen from both countries. It is a microcosm of the uneasy trade relations between the two countries and, like Abel’s previous documentaries, “Sacred Cod: The Fight for the Future of America’s Oldest Fishery” (2016) and “Gladesmen: The Last of the Sawgrass Cowboys” (2017), a portrait of a profession and tradition handed down for generations and now endangered. Coolidge Corner Theatre, 7 p.m. Abel and producer Andy Laub will participate in a discussion moderated by Linda Henry, Boston Globe managing director.